forums etc... I am very interested in your opinions, bug reports, etc..
set to B800h / B000h depending video mode. EGA cards will set this to 0 by default. call (Set by BIOS INT 10 func 0Fh). Note: No routines preserve the flags register! accordingly. It also sets SnowCheck to 1 if adapter is a CGA. Writes a character to the screen using direct memory access. *** IMPORTANT -- CALL GetVideoMode Before using this routine! This procedure does not disturb current attr setting. direct memory access, attribute is not changed. character. Attribute remains the same. attribute. Character remains the same. for any situation resulting from the use of these routines. instead of the TASM assembler. -Slight tweaks, no functional changes. .OBJ file (for later linking with VIDDEMO2 or your program). 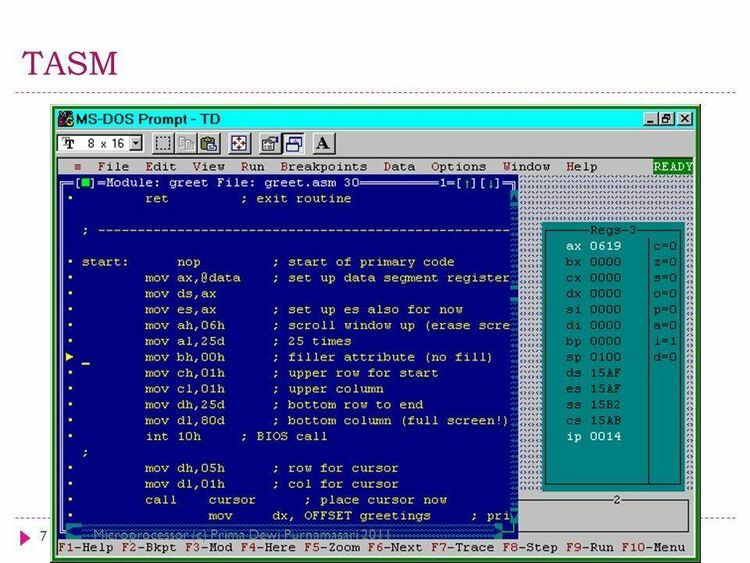 -VIDDEMO2.ASM also rewritten with this linking in mind. -Still a .COM file format (e.g., single segment).